Besides the obvious great things about holidays, such as presents, family time and delicious food, one of my favourite things about the holidays are fancy holiday parties. I rarely get the chance to get dolled up for anything, which is why I loved clubbing when I was younger. Now that I'm er, getting up in age, I don't find myself squishing into a tight dress and heels as often, so I have even less chances to pull out the makeup and glitter. That's why I love glitzy Christmas parties as they're great opportunities to dress up and eat free food! 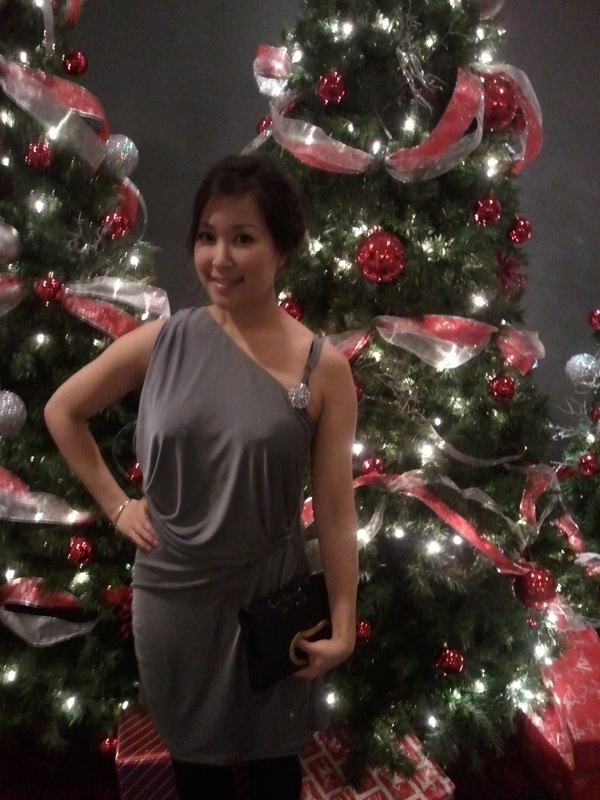 This year, I got to attend 3 Christmas parties: my offices', Mr. Artist's and my good friend Sheila's work event. While I've definitely got the clothes and makeup part down, one part of glamming up I'm a total dunce with is hair. My hair is super slippery and resists any sort of tie, curling, or pin without my bombing it with heat, or chemicals, or both. Usually I resort to doing nothing with my hair, or curling it with my flat iron, but up-dos? 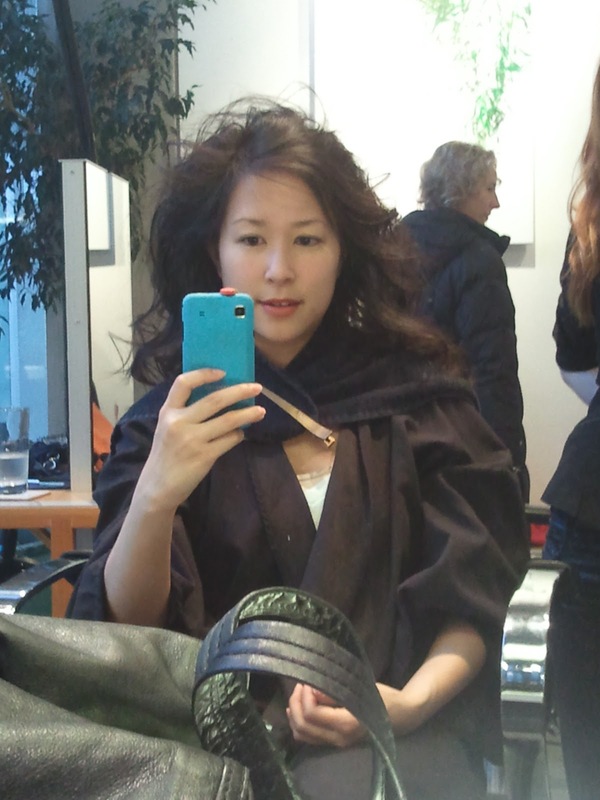 Definitely a very rare thing, which is why I was delighted when I got the offer by Vancouver salon, Rain Hair Salon to rescue me from my holiday hair doldrums for Sheila's party. Located near the famous Granville Island, Rain Hair Salon offers professional styling for affordable prices. Besides getting your hair did, Rain also offers clothing and accessories by Gentle Fawn, Matt & Nat, and Alternative Apparel, and an extensive selection of Bumble & Bumble hair products, which they use exclusively. I arrived at Rain on a particularly rainy Vancouver afternoon where the salon was positively buzzing with activity and was whisked away by my stylist Crystal. I highly recommend booking with Crystal as she was super friendly and helpful, chatting with me about each step of the process, so that I felt like I got an education as well as a hair-do! Plus, this girl has got some seriously gorgeous red hair. So jealous. Unbelievably, this only took her 45 minutes. 45 MINUTES. Crystal assures me that it's possible for me to do this on my own, but I think we all know that after 45 minutes I'd probably just end up surrounded by bent bobby pins, frizzy hair and sobbing on my bathroom floor. 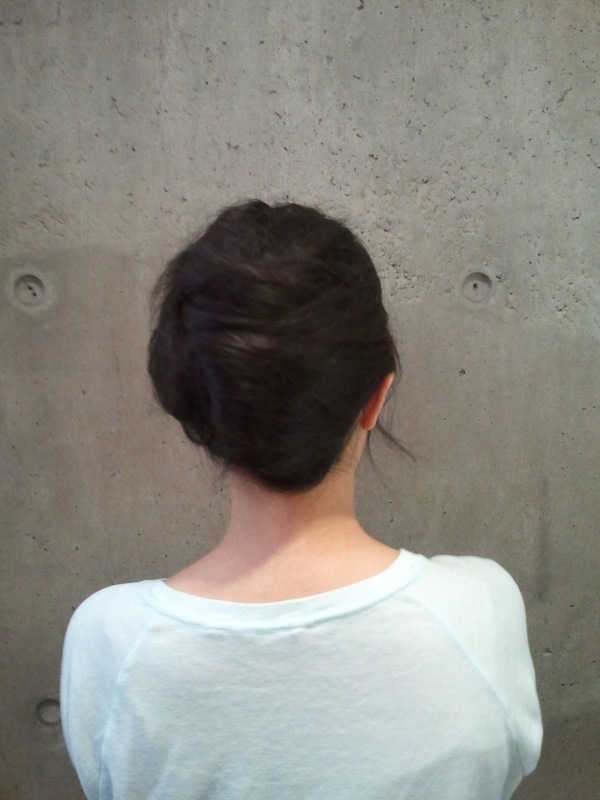 Thank you to Crystal, Donovan and Rain Hair Salon for the unforgettable perfect up-do! girl, you look BEAUTIFUL!! love your whole outfit from your gorg hair to your dress. My daughter's hair is very slippery. Due to conflicting parenting schedules, I had to put her hair in curlers one night for a class picture the next day--I think she was in the second grade. Oh the language that went through my mind as I struggled with her hair!!! I didn't say any of it, but I thought it. Your hair looks fab! I need major help getting my hair into any kind of up-do - I may try Crystal on your advice! Elegant and simple, love the end result!! haha I know right? We've definitely got Asian hair envy for the big hair. Grass is always greener I guess!